The following is an easy-access summary. For the full details, please see our terms and conditions. WPZOOM Support aims to ensure your experience using your WPZOOM theme is as pleasant and easy as possible. We have a huge bank of documentation and our support desk is open to all our customers. However, WPZOOM Support only covers the standard functionality of your WPZOOM theme itself. We don’t offer support for the installation, customization or administration of WordPress itself, nor do we provide any support for 3rd party WordPress plugins. Issues with plugins should be raised with the plugin author, and the WordPress.org Extend forums can help with any WordPress-related issues. 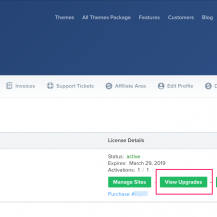 Furthermore, whilst we will do everything we can to ensure your theme works as advertised, we won’t help with customization for functionality not already in the theme. We do, however, have a number of tutorials to help you customize your theme which you can make use of. We frequently go above and beyond to make sure customers get the help they need. Please note, however, that our Support is intended to provide assistance with the theme rather than a service to customize your website. You should not expect to receive excessive customization assistance. For paid customization services for our themes, please see WordPress Services page for more details. Have something in mind and still can’t decide if it’s a minor or extensive modification? Contact us! All of our documentation is available 24/7! For details how to access all of our support material, please see this short guide. Our support desk is checked multiple times a day during standard working days (Monday to Friday) and tickets will be replied to in the order they are received. Our team is located in Europe (GMT+2), and we typically work 9am – 5pm, so please bear this in mind when creating support tickets. We do aim to reply to all tickets within 24-48 hours, however. On occasion we’ll provide support at weekends, but please do not expect a fast turn-around on Saturday or Sunday.